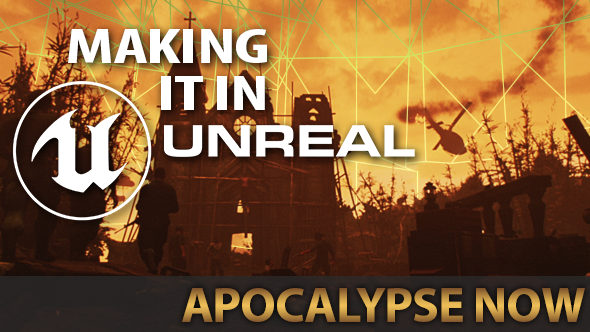 How do you even begin to turn Apocalypse Now into a game? A pair of experienced producers behind Fallout: New Vegas reckon they’ve landed on the design capable of capturing the psychological horror and sweaty tension of the movie in first-person. Thankfully for their Kickstarter backers, however, they don’t feel duty-bound to recreate the circumstances that made the movie’s production so difficult. The horror, the horror. The best horror games on PC. The filming of Francis Ford Coppola’s post-Godfather opus was famously fraught – three years in the jungle punctuated by the nervous breakdown of its director and near-fatal heart attack of its leading man. It was a journey into darkness that paralleled the script’s own. By contrast, the team at Erebus LLC hope a combination of good technical planning and bold experimentation will see them down the river to release. Here’s what they’ve got lined up. It’s easy to be carried away by the idea of a philosophical exploration of American influence abroad and the primal nature of warfare. 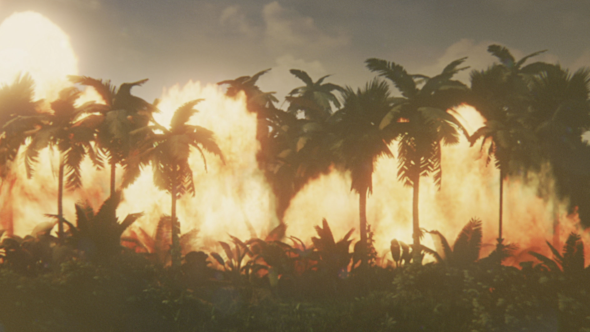 But from a practical perspective, the development of Apocalypse Now is going to involve placing an awful lot of trees – “Making the jungle alive with near photo-real foliage”. For all the challenges Coppola faced upon reaching the Philippines, a lack of trees wasn’t one of them. 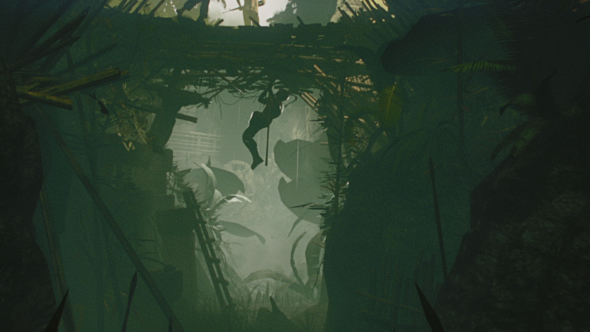 Creating jungle to scale will require an investment from Erebus in tooling early on. Apocalypse Now presented the Vietnam War not just as a conflict but as a defining moment in American pop culture – as much about the doomy music of The Doors and the drug-taking as the fighting. In the game, Erebus intend for players to be able to simply sit on a boat and drop acid, should they choose to. Doing so is likely to be incentivised by a system of stress and psychotic breaks that Willard can counter with the help of mind-altering chemicals. And the effects of being on acid will be represented by a range of audio and visual effects. The executive producer is intrigued by the possibility of experimenting with apophenia – the reading of meaning and significance into random sights and sounds, so that a ceiling fan might appear to Willard to make music, for instance. Coppola’s movie is inseparable from the image of Colonel Kilgore’s Valkyries flying into a Viet Cong village accompanied the pomp and horror of Wagner. But to translate the idea of diegetic sound into games – i.e. noise with a source visible on-screen, like Kilgore’s speakers – requires some technical preparation. 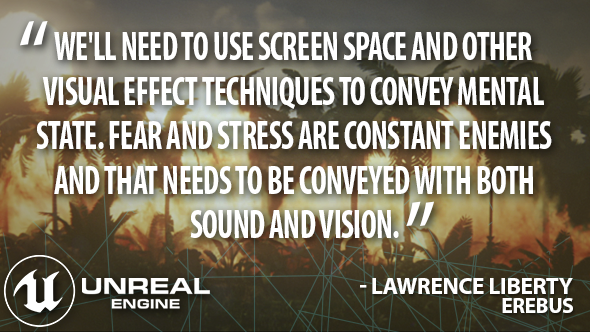 Unreal Engine 4 has a sound attenuation system that allows noise or music to lower in volume as the player moves away from its source. The system has a MinRadius, where the volume is 100%, and a MaxRadius, where the sound fades away into silence. The rate at which the volume drops as the player moves towards the edge of that wider radius is handled by a distance algorithm. “One other area where I’d like to push sound is to dynamically mix the score based on region transition,” adds Liberty. 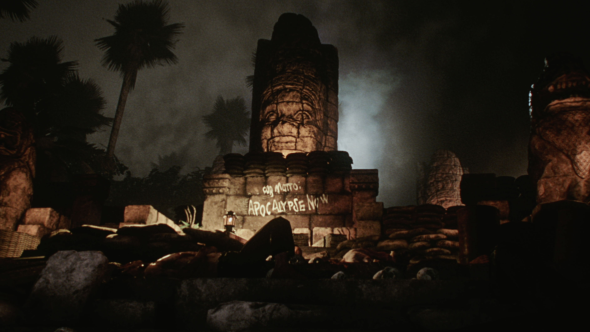 “For instance, the music used in the Kurtz Compound area might be quite different from the ambient default ‘jungle trek’ music. I’d want to see that slowly and seamlessly blend. 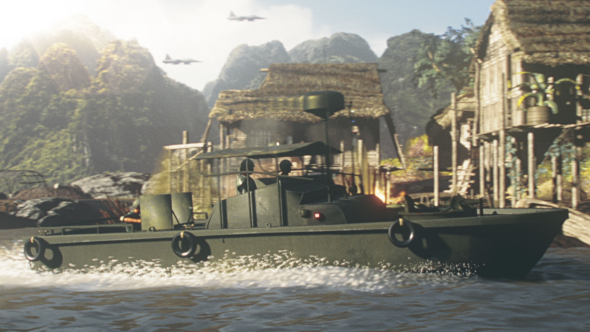 You can back Apocalypse Now: The Game on Kickstarter. Unreal Engine 4 is now free. In this sponsored series, we’re looking at how game developers are taking advantage of Unreal Engine 4 to create a new generation of PC games. With thanks to Epic Games and Erebus LLC.